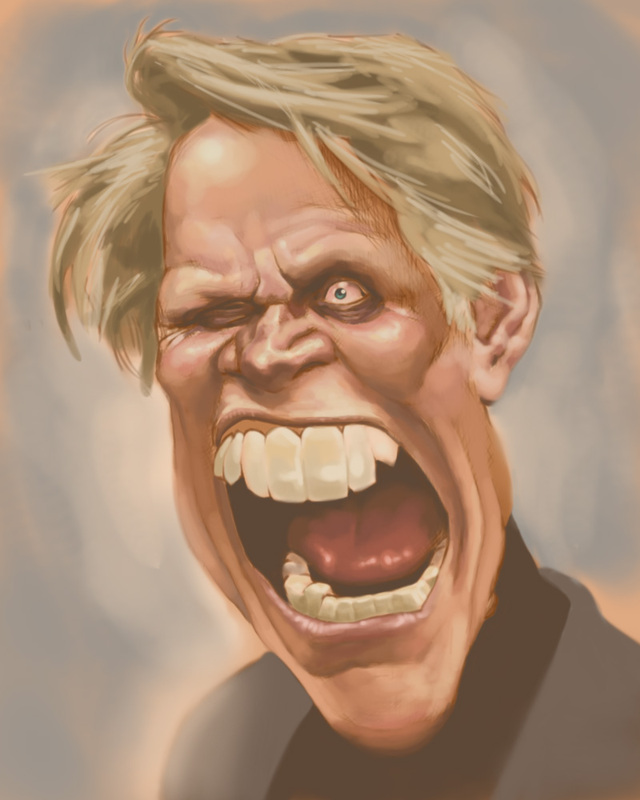 Here's some caricature stuff of Hollywood's very own Gary Busey. I'm not 100% sure but I think he's famous strictly for being a maniac. using bigger lines rather than a buttload of crosshatching.